It is very important that you consider the length of your registration and whether you will be able to attend the classes regularly according to your full time or part time class schedule. You should look at your personal commitments/work schedule and realistically assess the amount of time you are likely to dedicate to attending English classes. 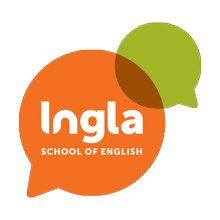 We offer a FREE TRIAL LESSON so you can be sure you are making the right decision when registering with Ingla School of English. You can enrol for a course in person at the school or online. You will need to provide the following documents in order to register.